This ticket allows standard access to Gladys Knight, Disco Classical Ft. 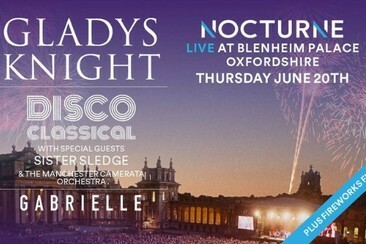 Sister Sledge - Nocturne Live at Blenheim Palace on Thursday 20th June 2019. This ticket allows standard access to Ms. Lauryn Hill plus special guest Laura Mvula - Nocturne Live at Blenheim Palace on Friday 21st June 2019. This ticket allows standard access to Tears For Fears plus special guests White Lies and Scritti Politti - Nocturne Live at Blenheim Palace on 22nd June 2019. 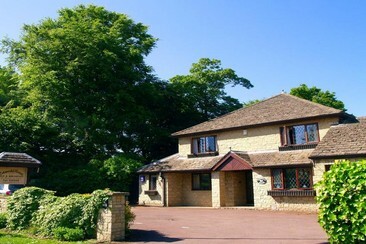 The Witney Guest House is located in on a historic Church Green near to the town centre. The Guesthouse has a shared communal lounge with free coffee and hot chocolate machine facilities as well as fresh homemade cakes for you to help yourself to! Books and games are also provided. A shared fridge is available too. The guesthouse offers comfortable accommodation in a traditional setting with excellent service. Our rooms are well equipped with tea and coffee making facilities, colour televisions and ensuite shower/bathrooms. Our breakfast boasts locally sourced, fresh ingredients as well as specialty handmade sausages. 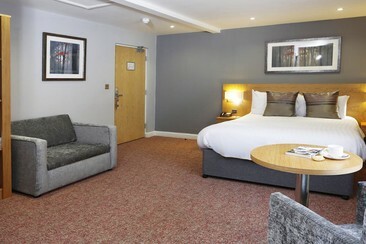 Located just a 15-minute drive from the city centre, Holiday Inn Oxford is perfect for those wanting to enjoy a relaxing stay whilst remaining close to all of the action. Its 154 contemporary guest rooms offer free Wi-Fi, mini fridges, satellite TV, in-room movies, stereo and tea and coffee making facilities. The stylish Junction Restaurant serves full English breakfasts, as well as providing a varied menu throughout the rest of the day. Guests can enjoy their meals on the bright, outdoor terrace and relax with a drink in the cocktail lounge. The in house health and fitness centre includes a fully equipped gym, steam room, sauna and swimming pool. For guests looking to pamper themselves, there is also a spa offering an assortment of relaxing treatments. Ideally set off the A34 at Peartree Services, guests can drive to local sights such as Blenheim Palace or the famous Ashmolean Museum. 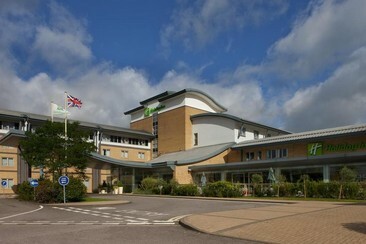 The hotel provides free parking and there is also a Park and Ride service into the city centre. The Best Western Plus Oxford Linton Lodge is a beautifully converted Edwardian Town House, with 87 spacious and stylish en-suite bedrooms and a host of attractive, modern facilities. They range from ample, free on-site parking during your stay, to free wireless internet connection throughout the hotel, complimentary internet booth, and fax and photocopying services. At the end of a day's business or sightseeing, relax with a drink and a bite in our friendly and popular Lounge Bar. Or join us for a delicious home-cooked dinner or succulent Sunday lunch in our renowned Spires Restaurant. Cotswold House is a highly commended 4-star guest accomodation situated in the leafy suburb of North Oxford and is featured in the Inspector Morse novels. The area is home for many who are involved in the academic and business life of the University. Easy bus access to Oxford city centre and Rail Station is available every ten minutes, and the world-famous Ashmolean Museum can be reached in just a 5-minute drive. Guests can also enjoy open-top bus tours of Oxford as well as boat punting on the River Thames. 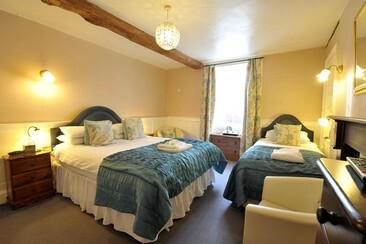 All rooms ensuite are furnished to a high standard. Wireless broadband access from every room. Full and varied breakfast menu served in our attractive dining room, offering traditional full English breakfast cooked to order with a selection of fresh fruit. This ticket allows parking at the car park for Nocturne Live at Blenheim Palace. Make your arrival at Blenheim Palace as smooth as possible! This pass gives you a space in the car park on Thursday 20th June. A return bus picks up from Oxford Rail Station to Blenheim Palace on Thursday 20th June. The Nocturne Live Special 500 Return Bus picks up from Oxford Rail Station and stops at Summertown, Oxford Parkway Station and Kidlington en route to Blenheim Palace. The last bus will depart 30 mins after the concert finishes. A day return coach from Birmingham, operated by Big Green Coach. The coach will drop you off and pick you up at the official coach park. The coach gets you there before the music starts and won't leave until the music has finished. A day return coach from London (Victoria), operated by Big Green Coach. The coach will drop you off and pick you up at the official coach park. The coach gets you there before the music starts and won't leave until the music has finished.